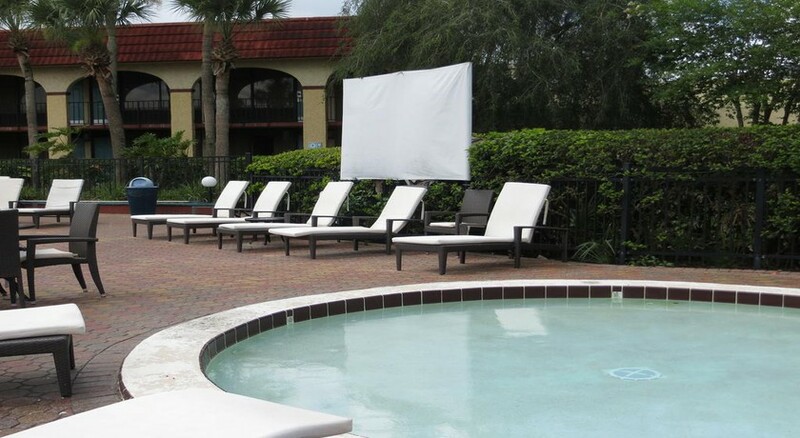 Found beside the Animal Kingdom and the Animal Kingdom Lodge which are both part of the Walt Disney World Resort, the Holiday Inn Club Vacations at Orange Lake Resort is perfect for families, couples and singles who don’t want to venture too far on holiday. The resort has 4 golf courses on-site, 8 restaurants serving a variety of local and international cuisine, arcades, fitness centers and a water park which is spread across a massive 1,400 acres. There is also an 80-acre lake complete with a beach as well as various entertainment activities in the evening. 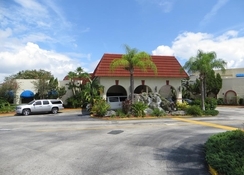 If that isn’t enough, the Holiday Inn Club Vacations at Orange Lake Resort features modern apartments with cooking facilities and the resort is only 33 miles away from the Orlando International Airport. You are close by to nearly everything you could want during your stay at the Holiday Inn Club Vacations at Orange Lake Resort. The Walt Disney World Resort is right beside this sprawling complex and you don’t need to travel far to play 18 holes on the 4 golf courses or wine and dine in the many restaurants and bars that are also part of the resort. Disney Hollywood Studies is just 4 miles away and SeaWorld is a mere 10 miles’ distance. 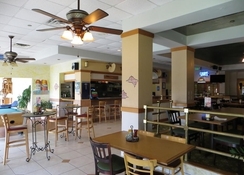 There are various room types available at the Holiday Inn Club Vacations at Orange Lake Resort. One, Two, and Three Bedroom villas can sleep between 4 and 12 people while there are also Standard, Queen and Deluxe rooms that can sleep between 4 and 8 people too. All the rooms are modern furnished and have facilities for cooking while you can also request rooms and villas with disability access. 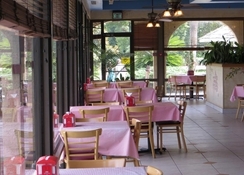 You will find a whopping 8 restaurants on-site at the Holiday Inn Club Vacations at Orange Lake Resort. 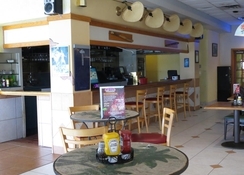 These range from international restaurants such as Breezes in the West Village, sports bars and grills, pizzeria’s, Caribbean themed eateries and general American food. 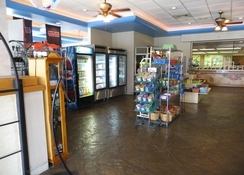 You certainly won’t go hungry with the wide range of food and drink facilities here and some also have buffet options. There is an array of daytime and nighttime entertainment options available to keep everyone happy from children, teenagers and adults. 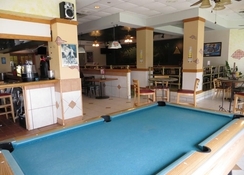 This includes bingo and poolside activities to comedy shows, karaoke and live entertainment. The resort features a 12-acre waterpark, 7 pools, spas, 4 golf courses, miniature golf, video game arcades and it is also right next door to the Animal Kingdom and the Animal Kingdom Lodge which are set within the Walt Disney World Resort.